Winter Is The Best Season Of All, Don't Ya Snow? I'm not a cold person. I'm just one that loves the cold. Snow is a beautiful rarity to me. I lived in Virginia for the past six years, so we barely got any snowfall. Well, with the exception of that one time in my sophomore year of high school, there was a blizzard after Martin Luther King Jr. Day. We ended up not going to school the whole week! 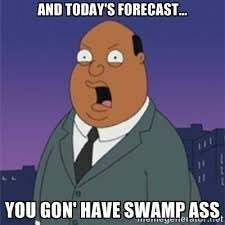 I do not appreciate the snow just for the school cancellations and two-hour delays. I love the purity and the softness at which it effortlessly falls on the ground, covering trees and roads. It's another beautiful miracle sent by God. To me, snow brings back memories of my childhood in New York as well as the ones I've made in Virginia afterward. It reminds me of the cozy, warm time spent with family and friends in a cold, still place in my life. Snow has always been magical to me. Maybe because it only comes around for a few days in a year. Maybe because it's the only season where I feel more relaxed due to winter break and the holiday spirit before it. Everyone just seems so much calmer during this time. Nevertheless, snow reminds me of a simpler and more peaceful time. It's actually the only season where I do not recount any bad memories. Among the best memories, my little sister, brother, and I would wear three sweaters under our winter puffer jackets, two sweatpants over our thermals, and three pairs of thick warm socks. Bundling is the best. We took these precautions to stay out as long as we could before freezing and needing to head back home. We built the Ashraf snowman in our backyard after three hours of packing on the snow. We used one of those fancy wooden hangers from Macy's and broke it to make the arms. The eyes were poked in with rocks, a carrot nose, and we used a marker to make a smile. We added a snazzy pink scarf and a New York Knicks cap. It was a masterpiece and remained there for over a month. My siblings and I build forts and chairs. We declare war with painful snowball fights. We make snow angels. We wait for fresh snow to fill up our cups to make snow cones. Even now. Moving to Virginia, every winter I'd pray for snow. It's warmer down there. When it does snow, even if there is an inch or two that actually falls, school gets canceled. My parents spent decades in New York and have endured the snow craze up in the north. So when they came here, they always complained, "Why are Virginians scared of snow? These kids need to stop missing school!" Eventually, we had one year where we did miss too many days due to snow so days were added to the school year to make up for cancellations, unfortunately. I bonded with the neighborhood kids by building our own community snowman my first year there. It was also my first time sledding ever. Although it was a small hill, my best friend and I hold many fun memories sledding that hill and slipping on ice. Some people hate the snow. The roads can be dangerous, we get sick, and winter storms can cause power outages. I get it. But I want those people to stand outside while the snow is falling in their hands or at least watch it fall from their windows in complete silence. I want them to watch the amazement and joy on children's faces when they play out there. It's not just frozen water. Snow holds so much beauty in itself. Snow will always stop time for me. It will always keep me young, reminding me of the joyous memories I have had and will never let go. Besides, the cold never bothered me anyway. Because who wants to sweat? The Midwest is known to be a place of tumultuous weather. As the seasons begin to change, one minute it’s 90 degrees and sunny with 100 percent humidity, the next it’s pouring down rain, and then after that, the weather might be relatively pleasant before it returns to some awful extreme. However, the one type of weather I can trust the most is the cold. You can almost always know what to expect because once it starts to get cold, it pretty much stays cold. But people hate the cold, which is something I don’t think I could ever understand. So, below is a list of why the weather from the months of November (sorta) to March (kinda) is the best. What’s the appeal of it being so hot that your undercarriage starts to roast? 2. The flowers and trees aren’t blossoming. Which means us allergy sufferers might get some reprieve. Wearing thrift store sweaters is the best part of every year. 4. Coffee actually warms you up without causing you to sweat. I might still get the caffeine sweats but at least I’m not sweating more because of the heat. 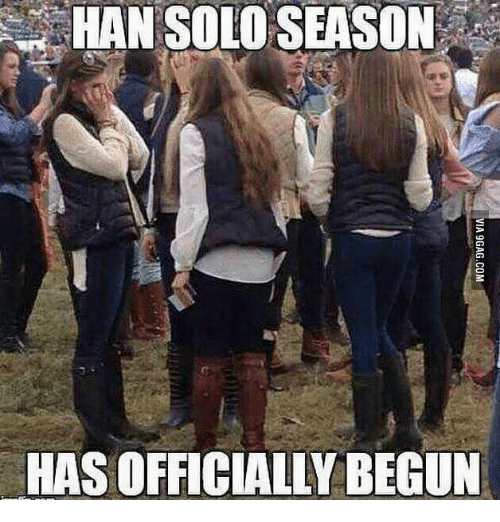 While I despise the term Han Solo season, there’s nothing quite like busting out your boots when it gets cold. Picking out new scarves makes me feel oddly sophisticated, especially when they pair well with my beanie collection. Why wear one shirt when you can wear seven? Plus a flannel. 8. Warm showers are more satisfying. Showers are the best but when it's hot outside? No thanks. Warm showers when you're cold = ideal. No one wants to necessarily be outdoors in the cold. Run to class. More breaks from school. The semester is ending. Better food. What’s not to love?